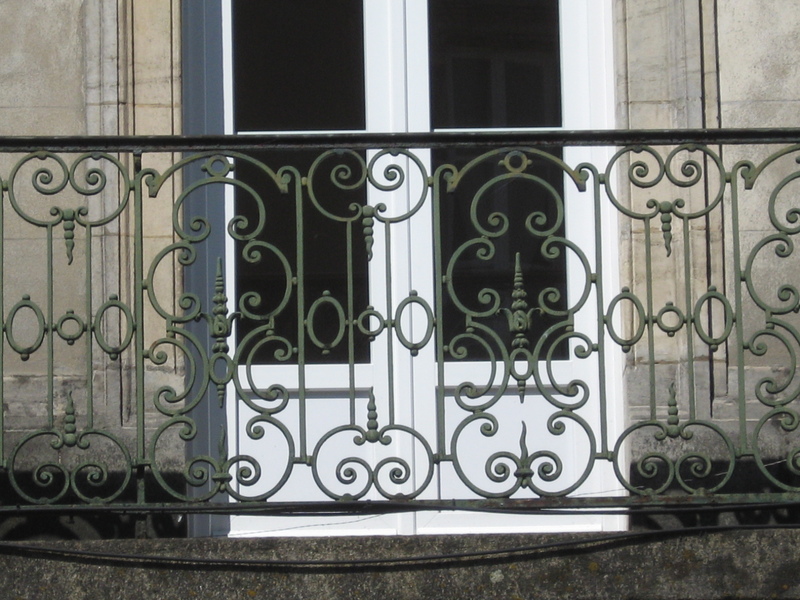 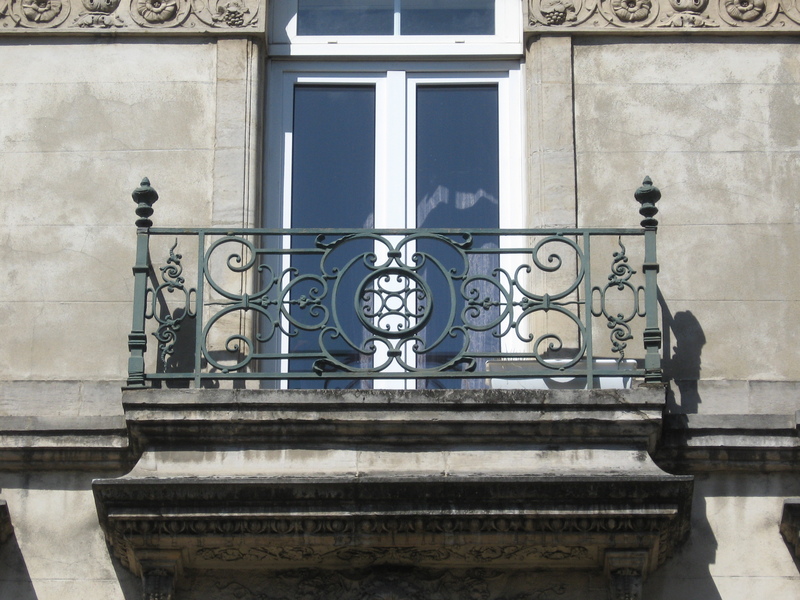 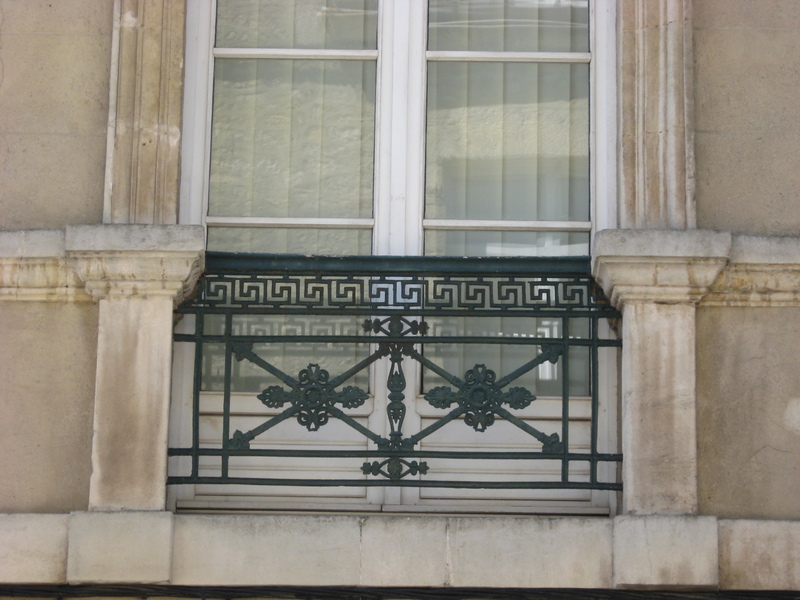 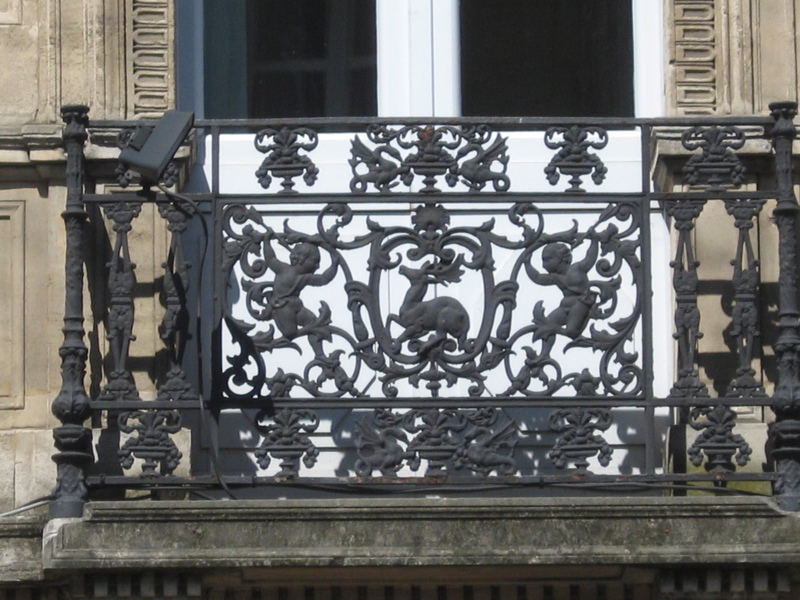 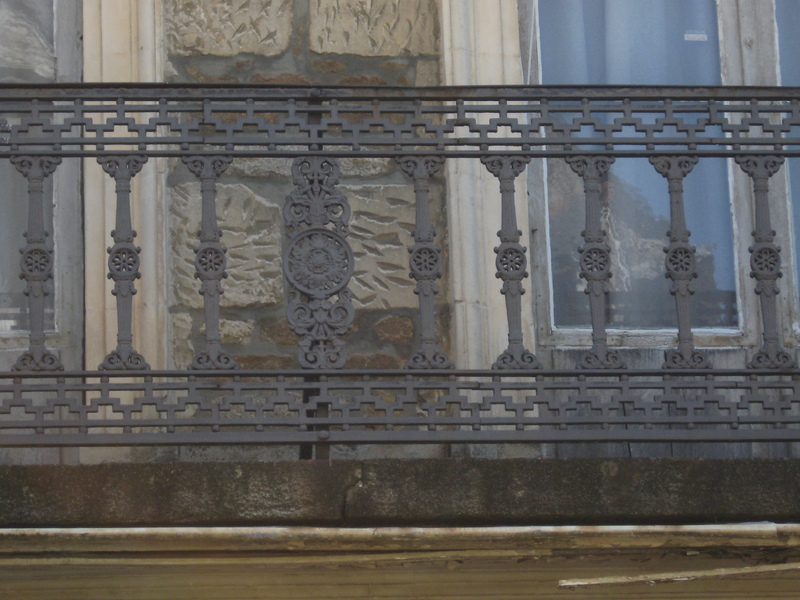 While we were in Alençon for the Tourist Train Trip, I happened to take some pictures of the cast iron metalwork that graces many of the first floor windows of the 19th century buildings in the town centre. 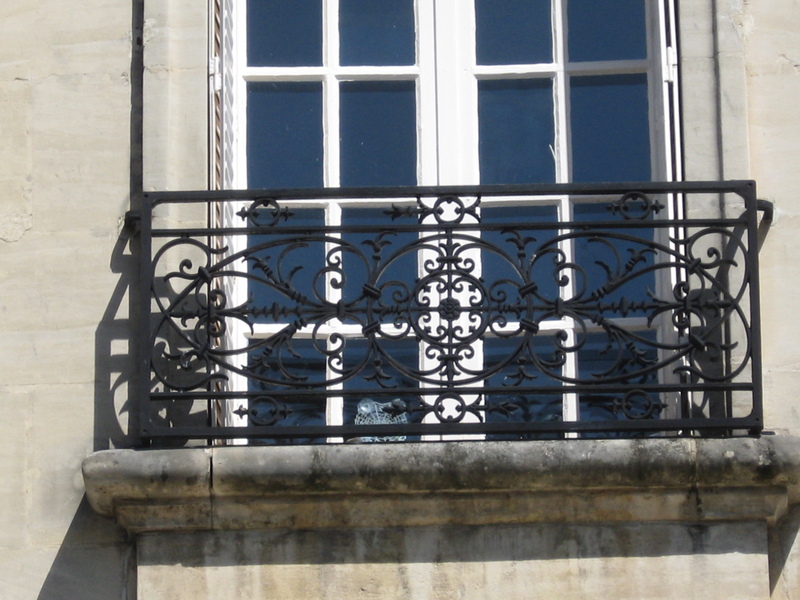 As well as Alençon lace, recognised as the finest lace ever made, Alençon was famous as a centre for decorative iron work from the Middle Ages until the end of 19th century. 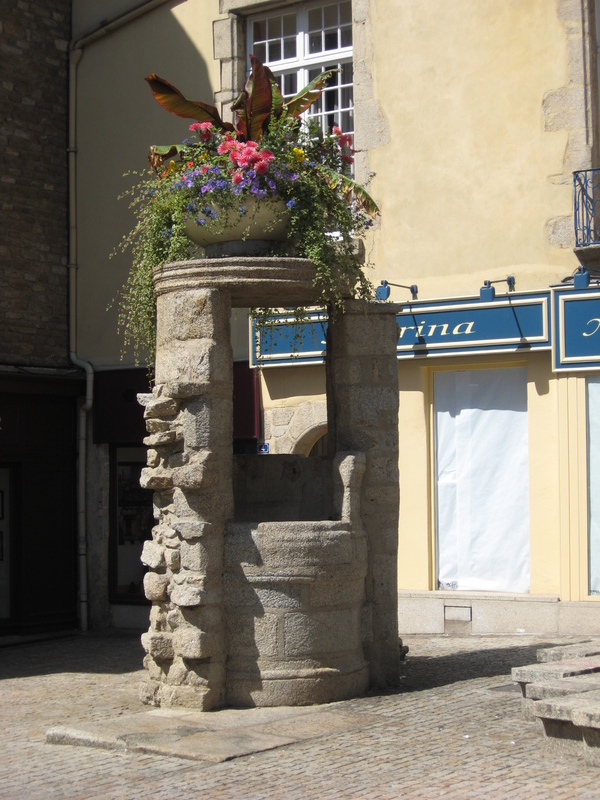 In fact, the ancient well in Grande Rue, near the Place Magdeleine and the Eglise Notre Dame, is called the “Well of the Forges“, recalling the time when there was a foundry on that spot. 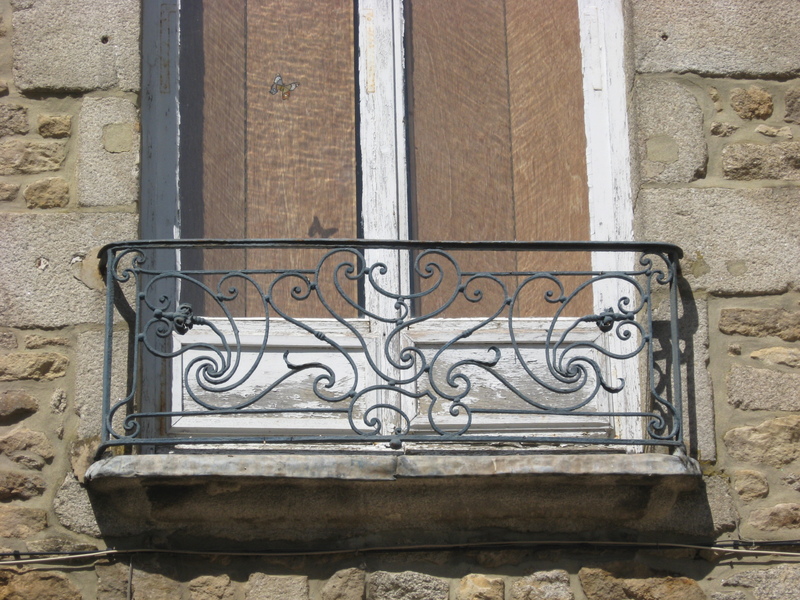 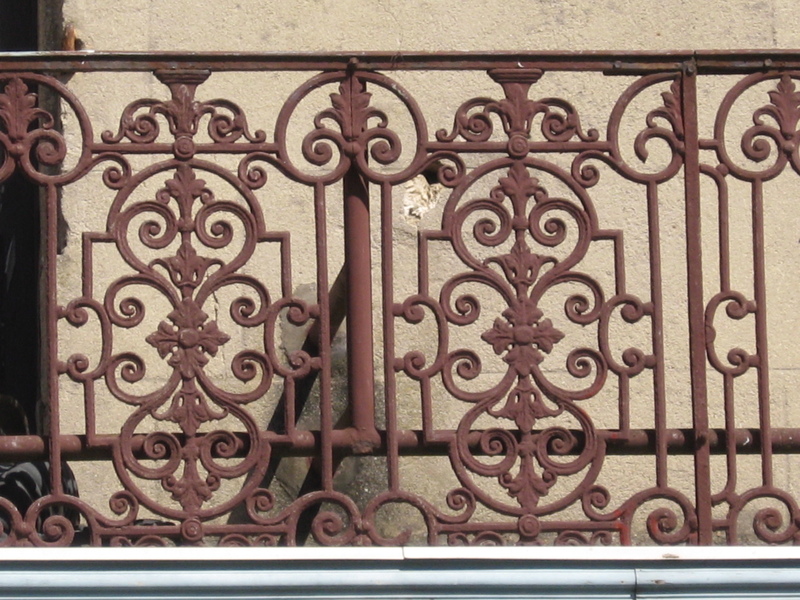 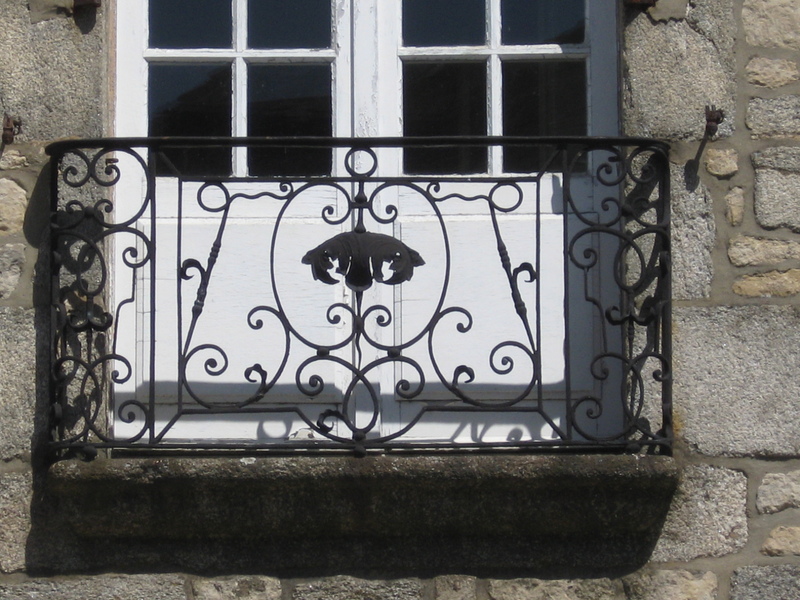 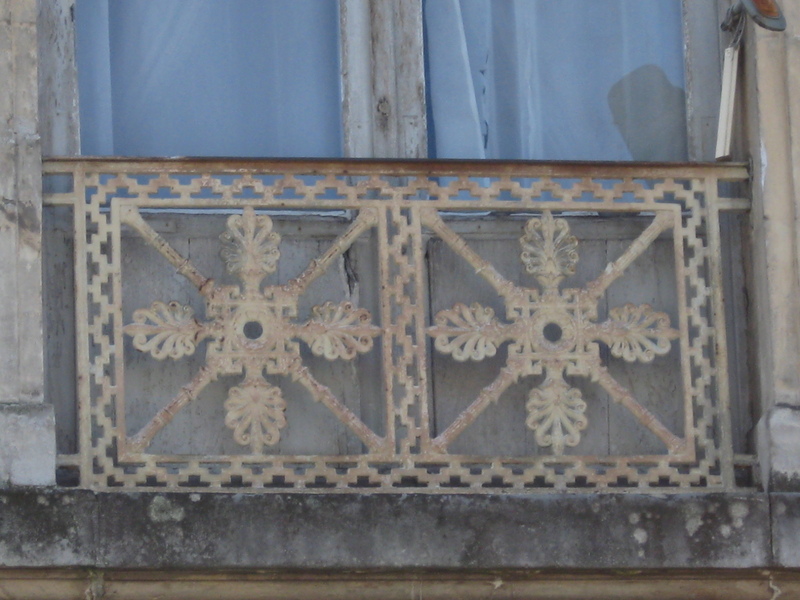 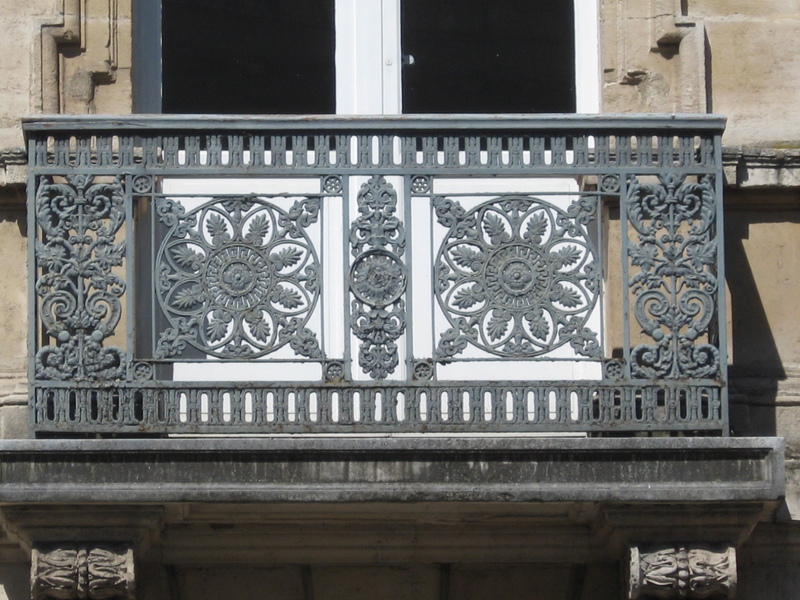 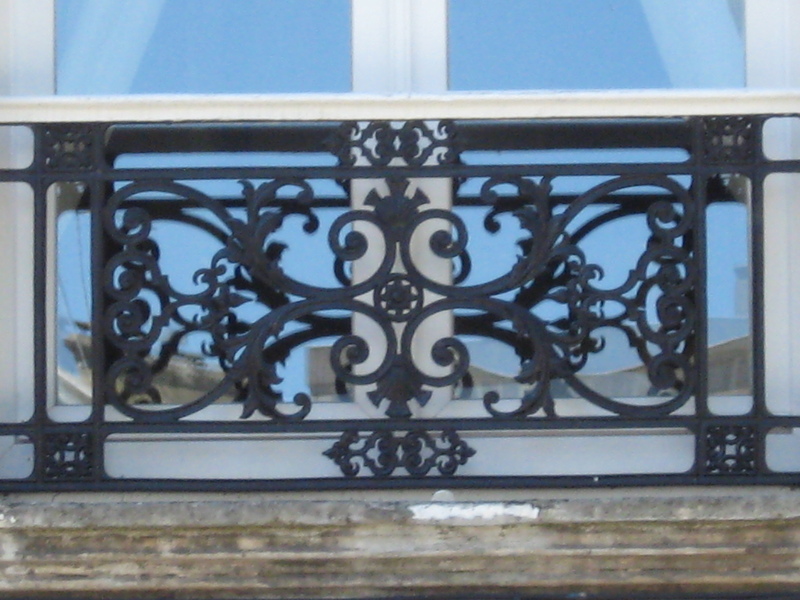 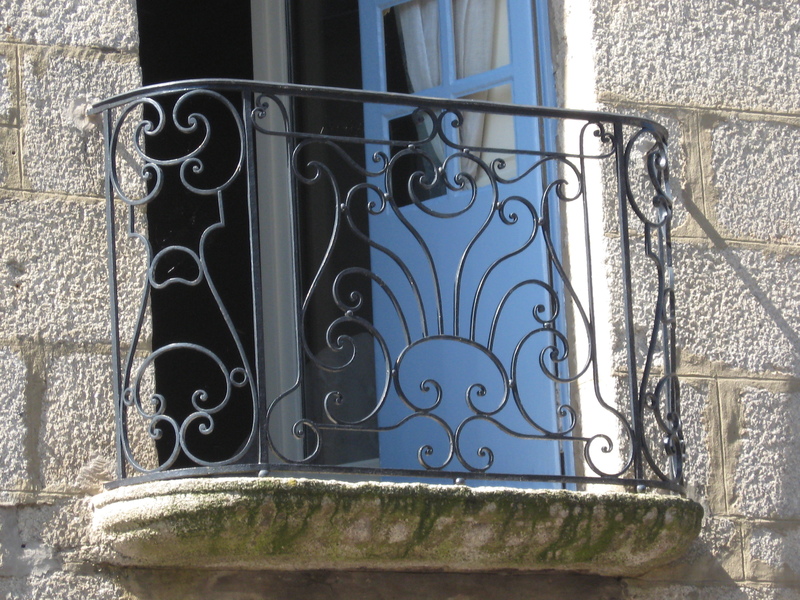 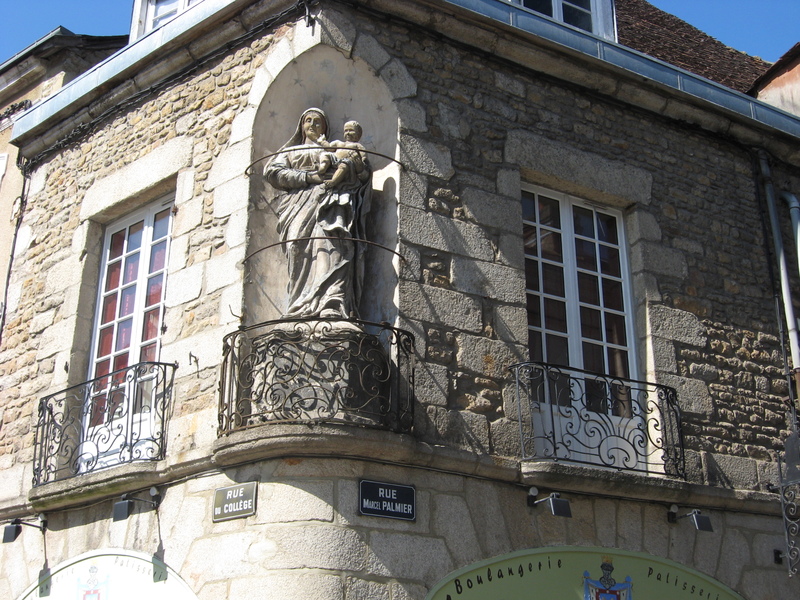 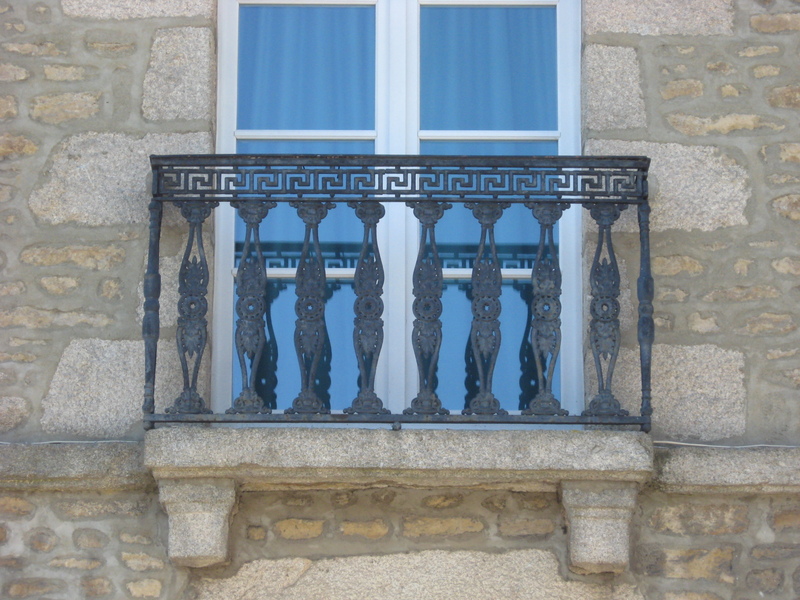 In consequence of this iron making heritage, hundreds of windows in Alençon town centre are adorned with fancy ironwork in a myriad different designs, some of them a reminder of the lacework for which Alençon is famous. 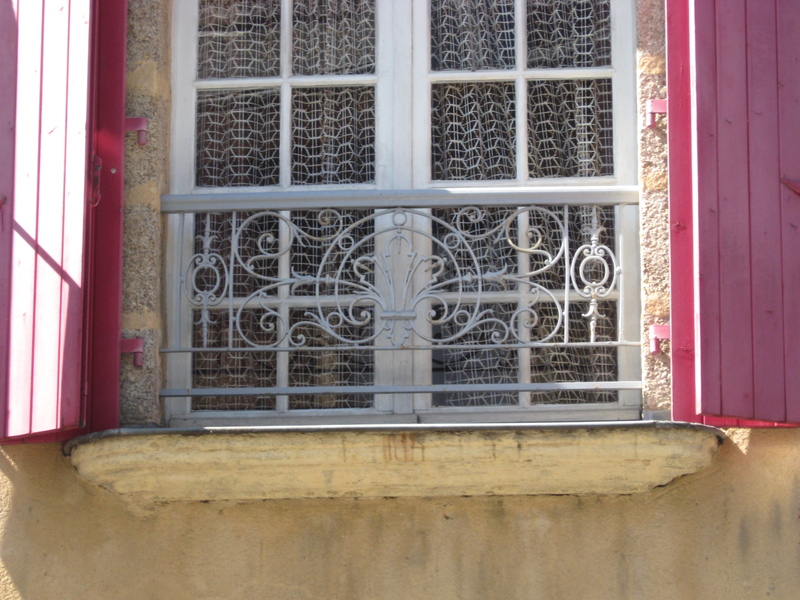 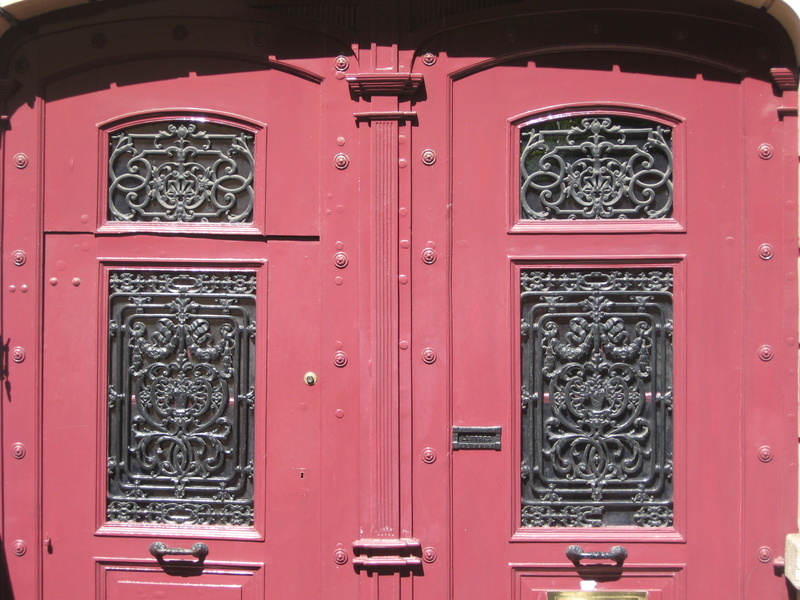 This may be a bit “anoraky”, but I really liked the fancy ironwork windows and thought I would share a photo gallery of the windows and their lovely iron decorations. 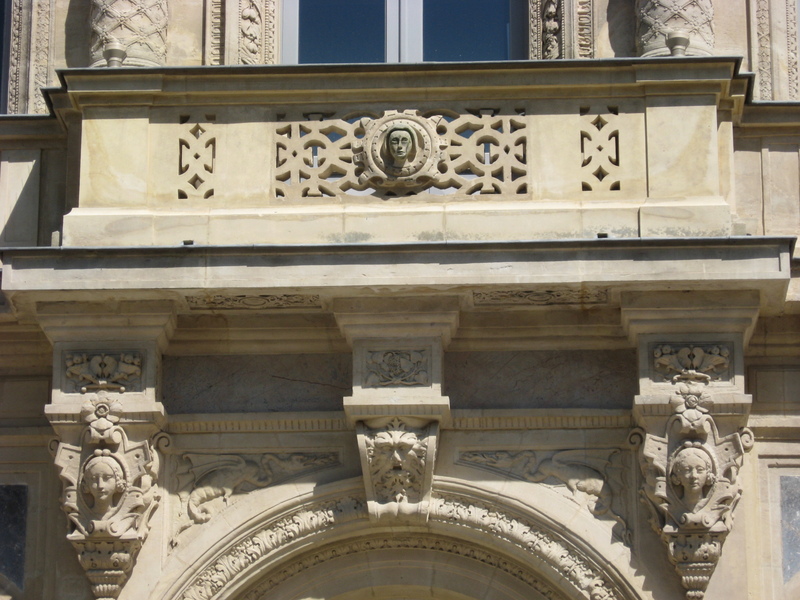 Oh, and one piece of fancy stonework may also have sneaked in!